Anytime you are working with wheel bearings (axle) weather you are replacement them or just servicing them they must have new grease in them or they will fail. 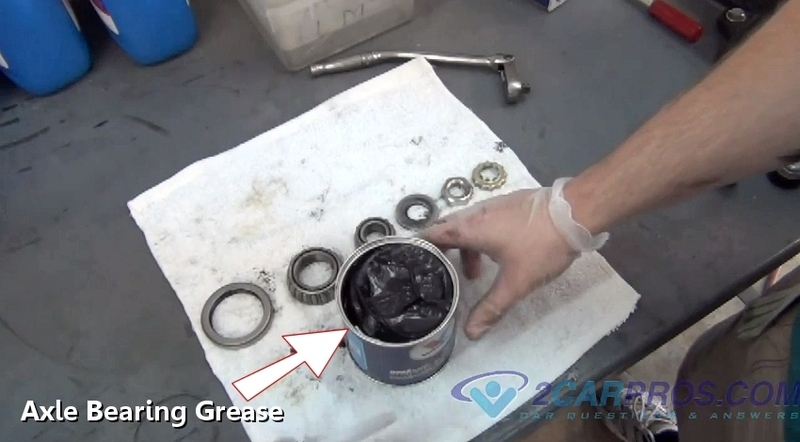 This grease acts as a lubricant for the bearing while it's in operation. 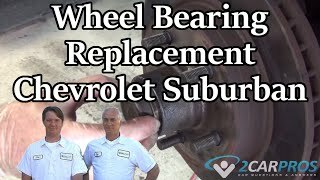 There are primarily two kinds for brake rotors with serviceable bearings, the first is an all-in-one unit which is found on most American made vehicles. This style has the inner with outer bearings and races included in the rotor. The other kind is a two piece unit in which the rotor bolts to the bearing hub that is found on Japanese models. The one featured above is an all in one model on a Chevy Suburban. When a replacement rotor is purchased new bearing races will be included but not the bearings themselves. It's best to replace the bearings at this point because the old bearings were mated to the old races and will not re-mate to the new races. The rotor and bearing assembly below is a two piece unit which separates at the bearing hub. This style of rotor and bearing assembly can be unbolted and the rotor replaced separately. Remove the rotor mounting bolts which will release the rotor from the bearing hub. 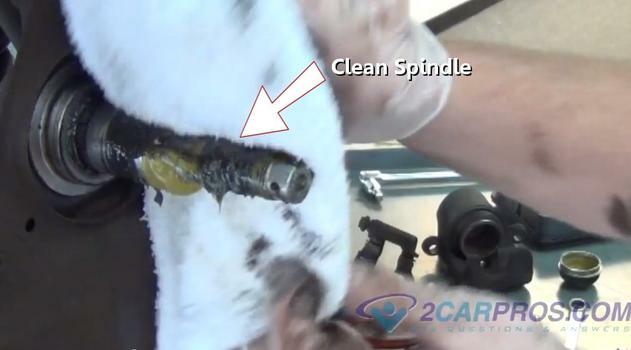 Use a shop towel and clean the spindle. Once clean inspect the spindle for wear and damage, this doesn't happen very often but when it does the spindle will need to be replaced. 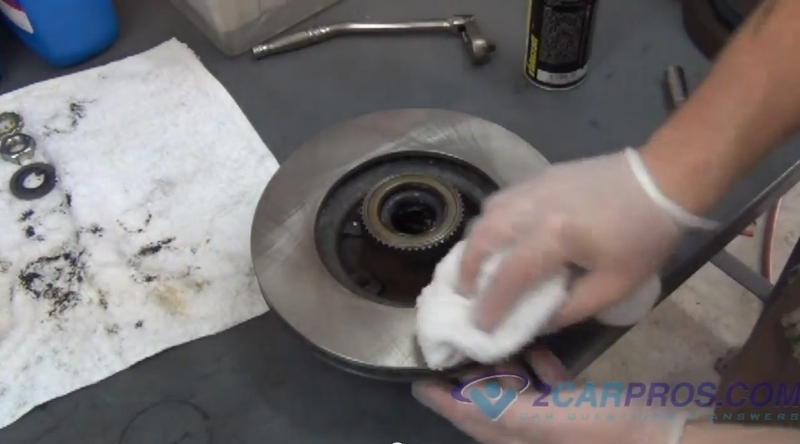 Use a shop towel and remove the grease from inside the bearing hub, front and rear (rotor removed). Next, layout the inner and outer axle bearings, grease seals, spindle retainer and washer for cleaning. 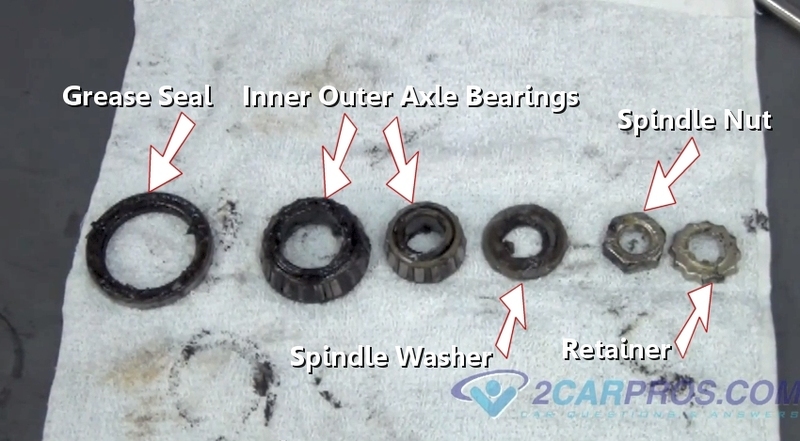 Once you have lined them up clean each part using a shop towel expect for new bearings. 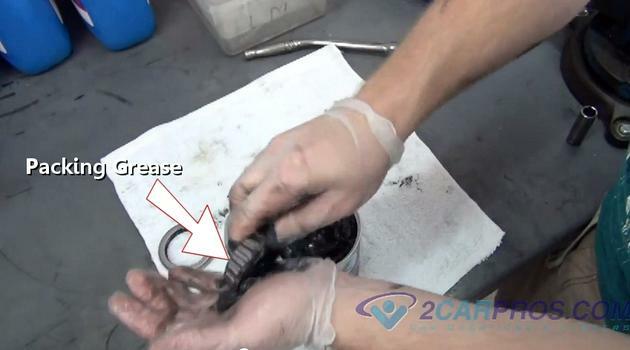 The old grease inside the inner and outer bearings will be forced out in the next step. Re-align the cleaned components to be installed in the order ready for reassembly. Axle bearing grease is used to lubricate the axle bearing while in use. There are several kinds of grease, you want to use a high quality grease that will protect you're bearings for miles to come. Scoop a hardy amount of grease out of the container and transfer it to the palm of the opposite hand, this is where gloves come in handy. 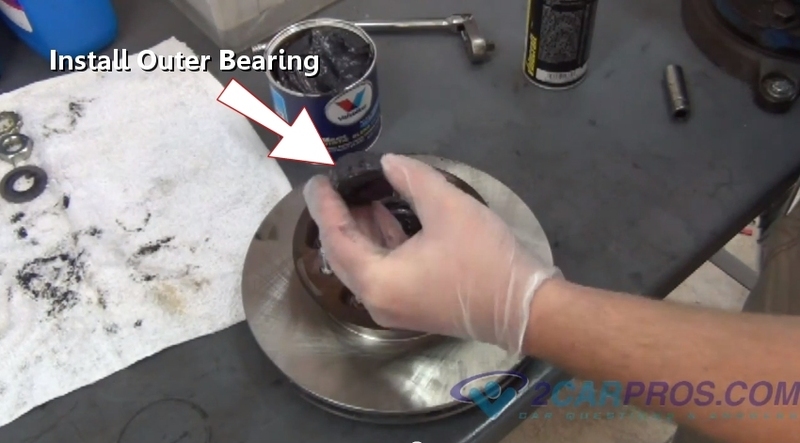 While grasping each bearing with the cone side up, thrust the grease into the bearing while forcing the old grease out, turn the bearing until all sides are done. 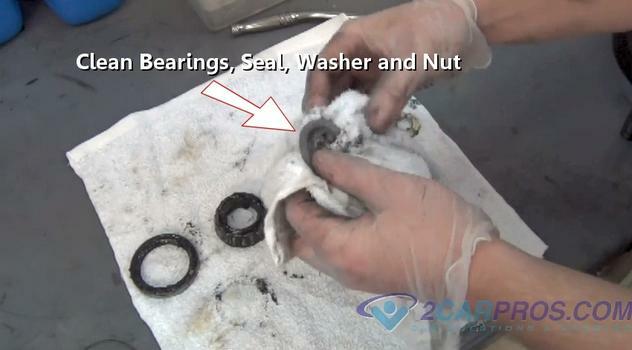 Continue this action until both bearings are complete, this is called packing the bearings. With an additional grease dollop, coat inner and outer bearing races (rotor installed). Once the new grease has been applied, reinstall the inner bearing (cone down). 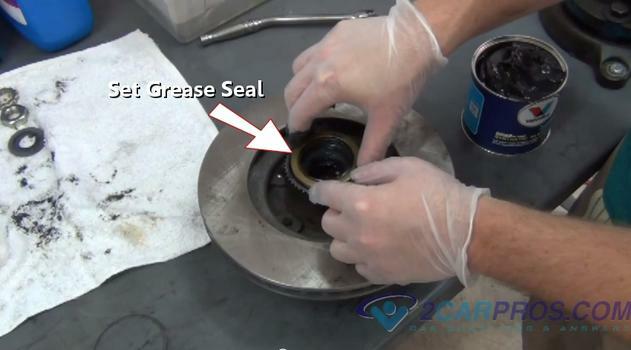 After the bearing has been installed set the grease seal into place, there can be two lips to the seal. One lip is the main seal and the other is the dust seal. The dust seal will be the smaller of the two and will be facing outward. 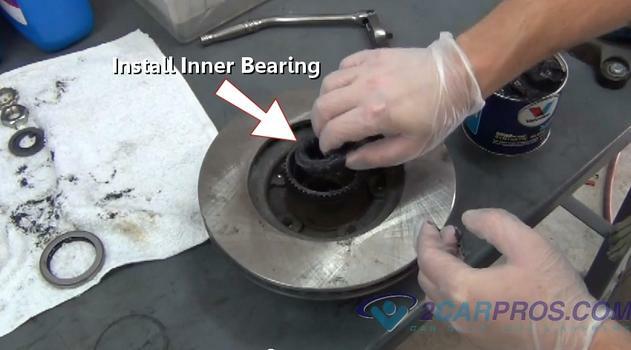 Using flat bar stock or a seal installation tool, hammer the seal into the bearing hub, continue until flush. 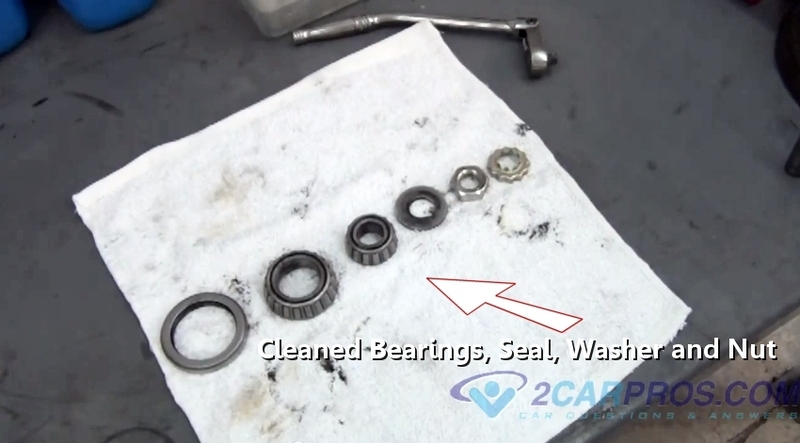 With a clean shop towel, wipe the outside surface of the bearing hub. 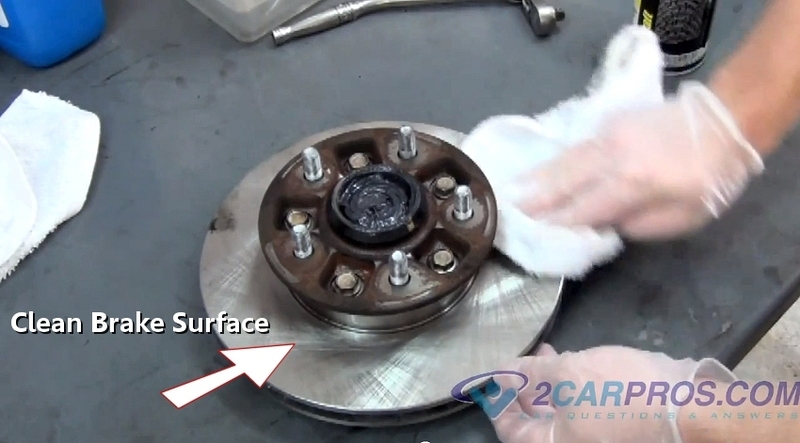 Using carburetor or brake cleaner and a shop towel clean the rotor braking surface. Do not allow any brake or carburetor cleaner to contact the new grease inside the hub. Next, gently turn the rotor assembly over and apply grease to the outer bearing race. 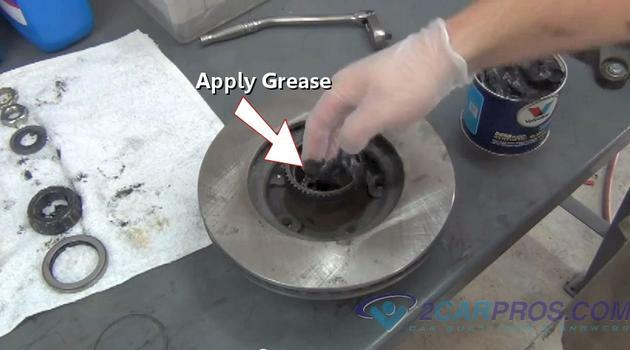 Install the outer axle bearing (cone down) and seal with a layer of grease. 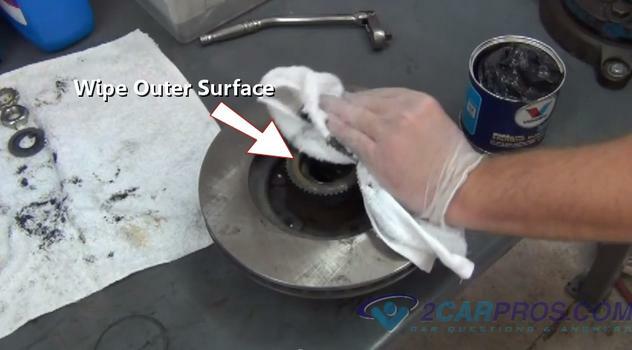 Once the outer bearing has been installed, use a clean shop towel and cleaner to remove any grease or dirt from the rotor surface. Now the assembly is ready to be reinstalled. 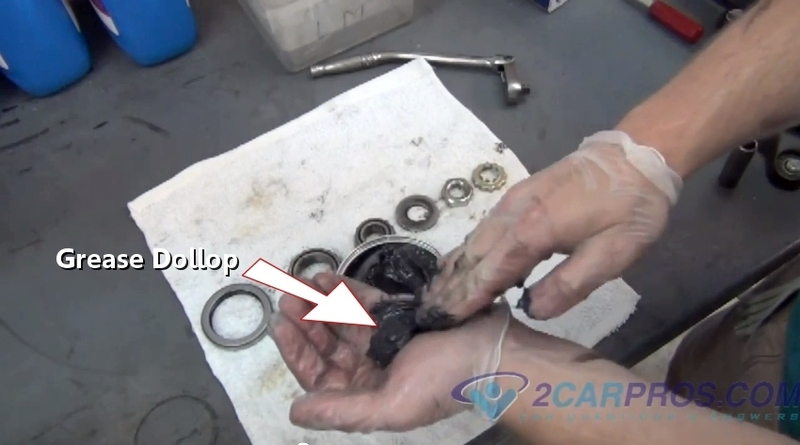 Below is a video of a basic bearing pack job, once you are done watching continue on to how to set the bearing preload which is very important. If you have any questions about a wheel bearing, please visit our forum. If you need car repair advice, please ask our community of mechanics who are happy to help. Our service is always 100% free.